Plants of the Future is inspired and motivated by the deforestation of Cusuco National Park, Honduras – the loss of an idealized environment for biodiversity. 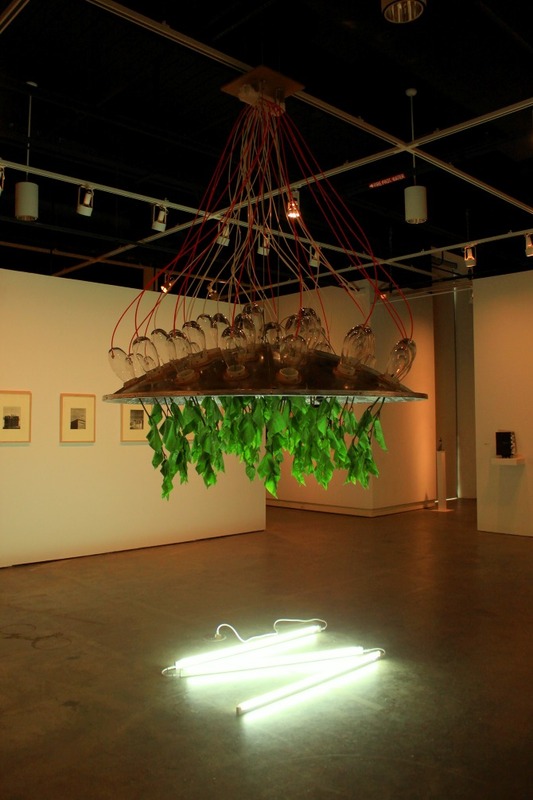 The artist, Mary Tsang, seeks a solution in hydroponics, the science of growing and sustaining plants using only water and light. 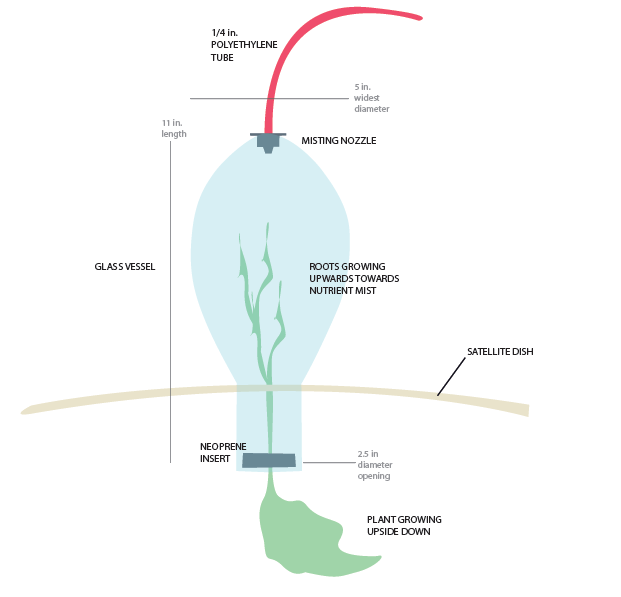 This inter-disciplinary project addresses today’s environmental issues through the artistic metaphor of scientific spectacle. 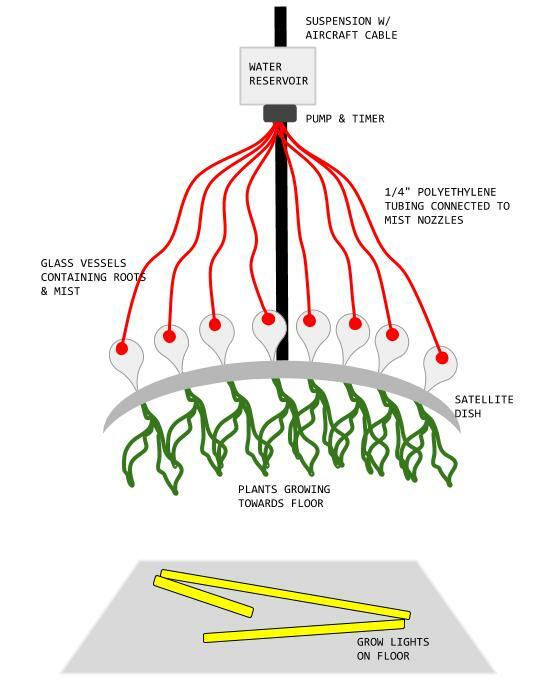 By combining a hydro-aeroponic system, custom-blown glass vessels, and a six-foot satellite dish, this piece is a symbolic reversal of one of the most primitive natural processes: the uptake of water by the roots of plants as they blossom towards the sun and sky. 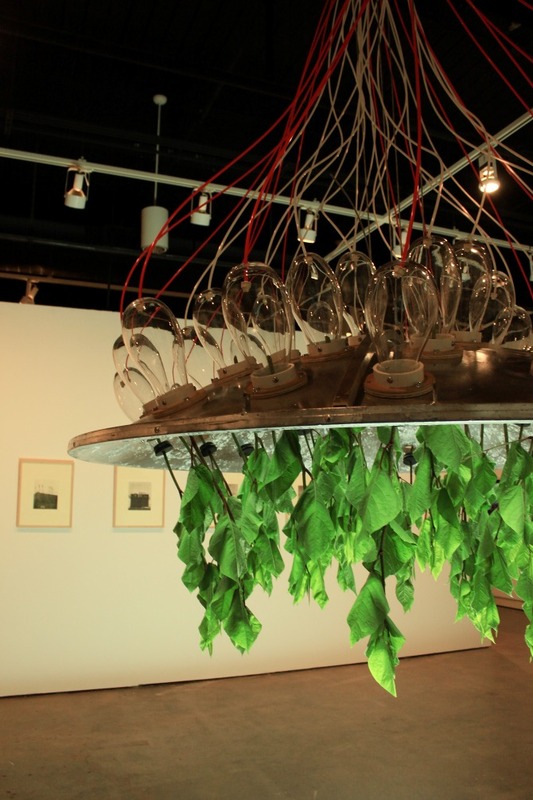 Plants of the Future was supported by a grant from the Frank-Ratchye Fund for Art @ the Frontier (FRFAF)— an endowment founded to encourage the creation of innovative artworks by the faculty, students and staff of Carnegie Mellon University. 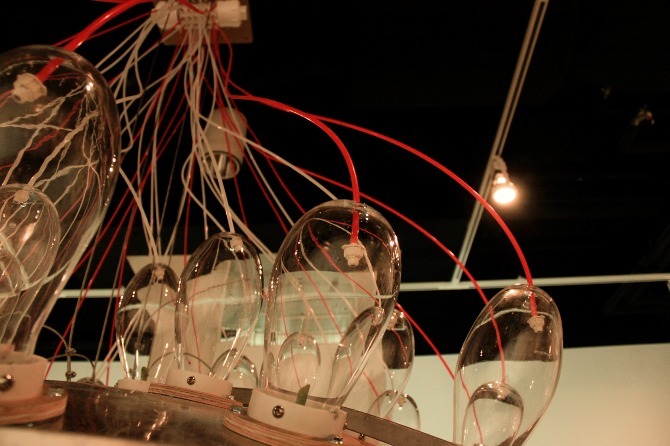 With this fund, the STUDIO seeks to develop a cache of groundbreaking projects created at CMU — works that can be described as “thinking at the edges” of the intersection of disciplines. 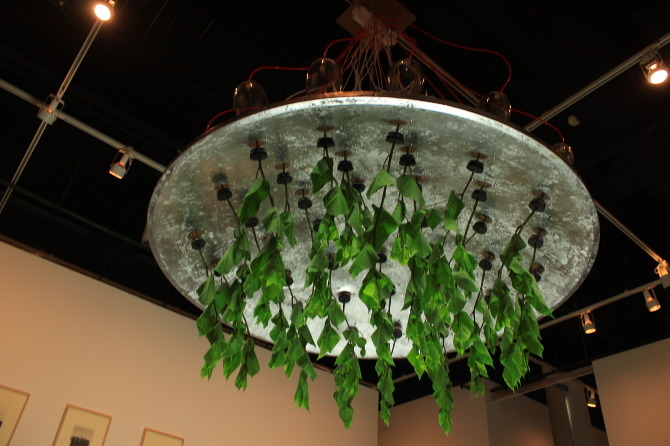 Mary Tsang is currently a senior in the Carnegie Mellon School of Art.